As a newly independent organization with a long history FOR Peace Presence is thrilled to present our first-ever annual report! Whether you have followed our work in Colombia since the days of FOR USA’s Colombia Project, or came to know us more recently, we know you’ll be excited by the evolution of our program in 2014. It was a year to lay the foundation for a sustainable international accompaniment model to suit the needs of a rapidly-changing Colombia, an adventure that has forced us to grow and reenergize our mission. 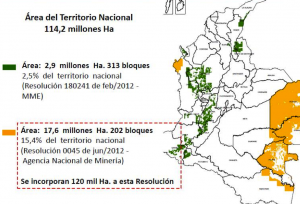 We present Tierra Digna’s press release on the suspension of Strategic Mining Areas in Colombia – published in Spanish by Tierra Digna on the 15th of May 2015. The Strategic Mining Areas cover 20,471,346.7 ha, approximately 20.3% of Colombia’s area. 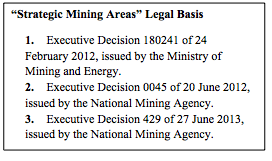 The national government demarcated said mining areas in order to auction them to private enterprises for large-scale exploration and exploitation of strategic minerals. The national government took a high-stakes administrative decision for the country: altering the productive land use of a vast number of rural territories, many of which have a natural vocation for agricultural activities and environmental conservation. In addition, the mining blocks overlap with ethnic and campesino territories without these peoples’ prior, free and informed consent. Finally, they include important ecosystems, such as the biogeographical regions of Chocó, the Amazon and the Colombian Massif. Next Friday, May 15th, we celebrate the International Day for Conscientious Objection. This date marks a very important occasion to both remember all those who have historically refused to participate in war and to propose initiatives that may help to promote the demilitarization of society. It is a day for us to remember, to learn and unlearn and to think deeply about ourselves in order to devise a different society where no one is obligated to fight and to go to war. On April 8 of this year several NGO’s presented a proposal for a “Social Peace Service” before the Peace Commission of the Colombian Congress. 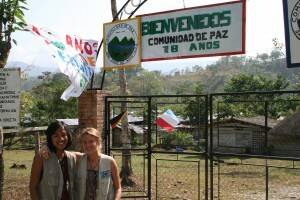 Such Peace Service would be equivalent to the Mandatory Military Service in Colombia. For that reason we want to invite you to send us your videos to objecion@objetoresbogota.org. Please give your name, the organization to which you belong, the city and the country where you send the video from. Please answer the question: Which service would you provide to your community if you did not have to present the military service? You can also send a message in support of this proposal. For ten days in March 2015, FOR Peace Presence had the privilege of hosting a delegation from the Pacific School of Religion. 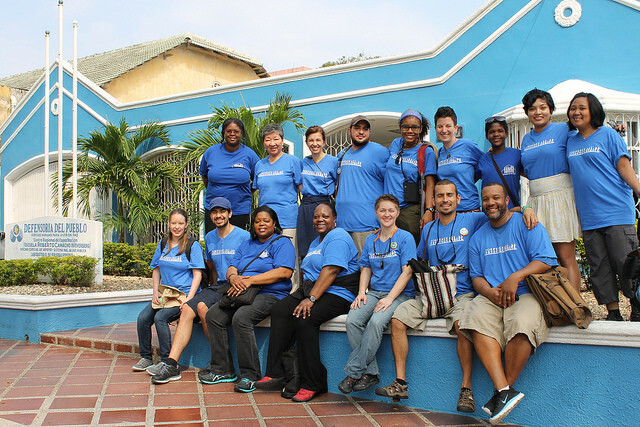 On paper, the delegation consisted of 13 university students from a grant program known as the Changemaker Fellows and their professor from the Pacific School of Religion in Berkeley, California. In person, the delegation was a dynamic and receptive group of individuals, eager to open their hearts and minds to some of Colombia’s most devastating realities.